An Indiana family has been telling of their shock at how quickly bacterial meningitis took hold and killed their 10-year-old daughter. Abbigayle Dipietro complained of an earache on Saturday, Feb. 2, but was sent home from the ER when doctors found no sign of infection. On Sunday night, she started vomiting and on Monday she started having seizures. On Tuesday evening, her brain activity ceased and on Wednesday, Feb. 6, she died. Her distraught parents are now warning other parents to watch out for the tell-tale signs and said that they want their daughter’s organs to be used for donations. The family lives in Elkhart, a small city in Indiana with a population of 50,000, just south of Michigan. 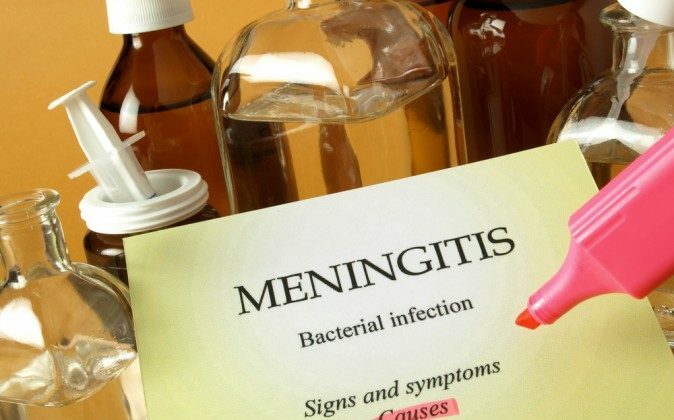 The school she attended has sought to inform other parents, and to reassure them that bacterial meningitis is not contagious. But the family said that they wish that they had known what to look out for and are encouraging other parents to educate themselves. “I mean even if you just take five minutes to kind of look into what the symptoms are of different meningitis, just to kind of educate yourself a little bit so that when your child has any of those symptoms, you know you push to have something done,” she said. A donation page set up on Facebook to help with medical treatment raised $12,000 as messages of supported poured in, many from locals who knew her. “It’s been hard on everybody in the family. It’s just hard losing a child at age 10,” the girl’s father, Richard Anderson, said, reported WPDF.